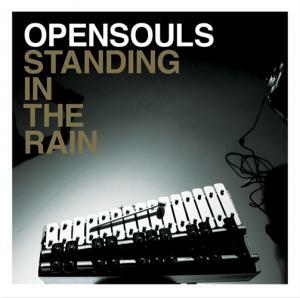 Tyra Hammond's friends may not be aware, but they have played a big part in the Opensouls' latest album, Standing in the Rain. Stacey Knott talks to the Opensouls singer. Auckland, Aug 30 NZPA - Auckland band the Opensouls have just released their second album to rave reviews, but they don't have too many expectations for it, because it is so different to their debut. The eight-piece hip-hop/RnB band's recently released Standing In The Rain was written to reflect the sound and feeling of the late-50s, early-60s British and American RnB era. The Opensouls drew their inspirations from songwriters John Lennon, Paul McCartney, Smokey Robinson, Holland/Dozier/Holland and Van Morrison, to create a vintage quality, reminiscent of Motown in its heyday. Hammond says the latest offering is very different from their debut, 2006's Kaleidoscope. Hammond and band mate Jeremy Toy wrote Standing In The Rain together, whereas the debut had the whole band collaborating. The bands' debut album gained them a nomination for the Best Urban/Hip Hop album at the 06 NZ Music Awards and the single What Do You Do? claimed the best hip-hop song at the 06 BNet awards. However, they do not have big expectations for the latest offering. "All we can ask is for people to like it because it's just so different from the first one, Hammond says. "We have grown but we are still the same old Opensouls." Standing in the Rain has been in the works for about a year, and has been ready for release since January, but the band wanted to take their time with it, especially with making and releasing the music videos. Of the songs Hammond wrote, she says the lyrics are mostly on the theme of love. However, only a few of the tracks are based on her own experiences. She borrows stories from her friends' lives to create the rest although in of Blind to See she neglected to tell the friend the song was inspired by her. "I realised I write a lot about love, I can't help it I wish I could write something political," she says. "It's funny I usually tend to write for my mates, they will tell me their stories and that will help create the characters for the song, it's almost like writing a story." The first single on the album, Hold You Close, is one of Hammond's own stories, a love song written for her boyfriend, which she never expected to be the first single. Another track inspired by her friends is When You Gonna Stop? "I wrote that about when you are with your girlfriends getting ready for the night and there is one certain track you listen to while you're putting on your makeup." That was inspired by that." The band is made of Tyra Hammond on vocals, Jeremy Toy on guitar, Bjorn Peterson on vocals, Julien Dyne on drums, Chip Matthews on bass, Isaac Aesili on the trumpet, and Harlin Davey on MPC. The Opensouls will be touring their new album around New Zealand through September and October.